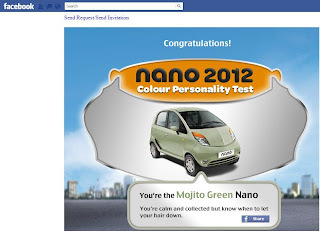 I checked out the TATA Nano promo page that has been created for ‘Meet the NANO 2012’ campaign. The NANO is now getting a feature makeover with delicious new colors and TATA Motors is going all out with a digital promotion campaign. The flash page is built as an interstitial with hotspots, that you can hover on for an overview of the new features. It also lets you discover the different colors available. You would probably miss it completely if you choose to ‘skip’ the animation. 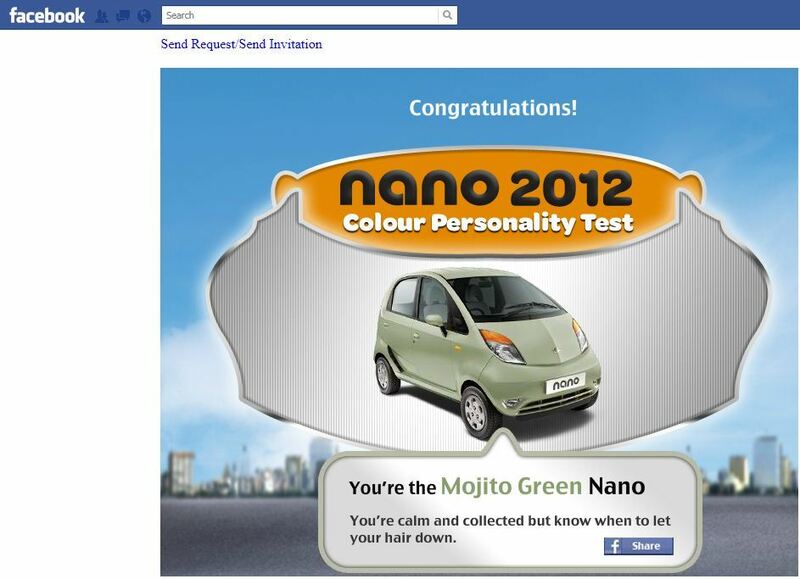 The Facebook TATA Nano page has a ‘What’s Your Colour?’ personality quiz application. They have been using this concept on rich media ad units as well. 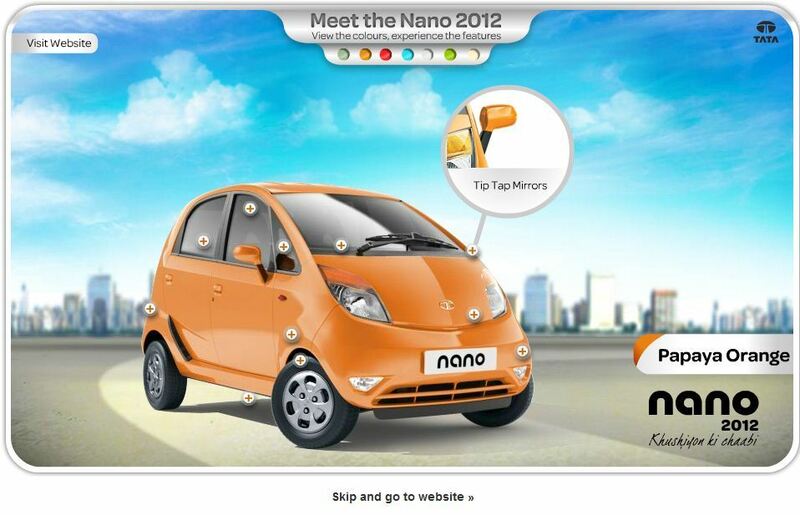 TATA Motors also has a TATA Nano website with deep content but no standout reference to the Nano 2012 campaign, except of course for the interstitial. It would probably be a good idea to think about cross linking all the brand assets for starters.